had to marry her, eventhough he fears her when she is angry. forces with him. But Goku didn`t want to, so he had to fight with Radditz. After when Radditz was defeated, the Earth was safe once again. Now Goku is the hero, and the protector of the planet Earth. He defeated villains like frieza, Vegeta, and etc. 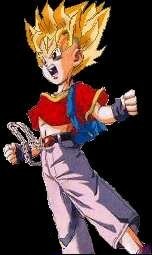 Goten`s Best friend is Trunks. 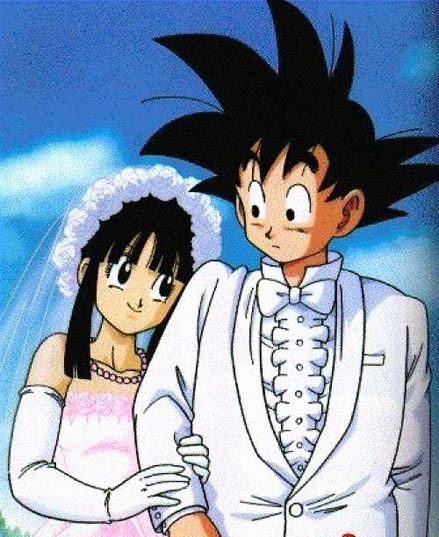 Its really weird that Son Goten has a girlfriend, but Trunks doesn`t, because a lot of girls that I know likes Trunks a lot, especially his hair. 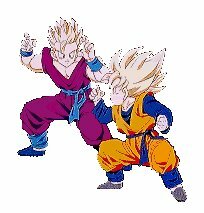 Anyway, now back to the story, Son Goten can also do the fusion dance to fuse with Trunks, so they can turn into Gotenks. to be treated like a little girl. She always wants to act mature. 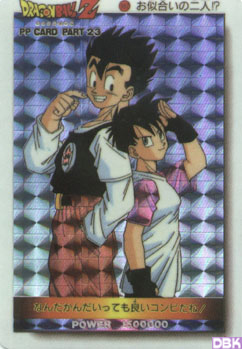 At age 4, when Son Pan competed at the Martial Arts Tournament, she even defeated her 17 years old uncle Son Goten. At the end of DBGT, she was the only character that was left from DBZ, and was 114 years old!